In what can be seen as a first major political setback for the ruling BJP in Arunachal Pradesh that goes to simultaneous Lok Sabha and assembly polls on April 11, at least 18 party leaders have resigned from the party after being denied tickets. 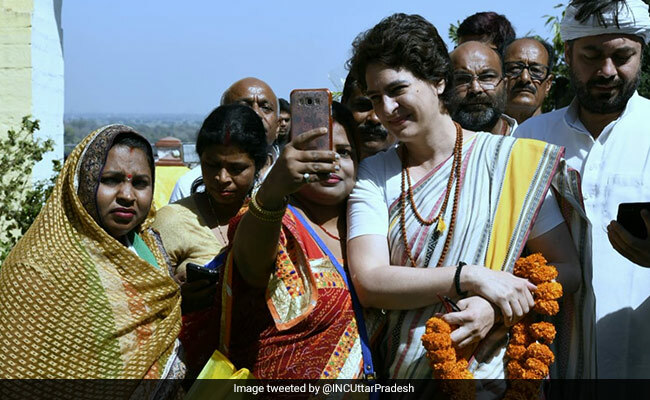 Congress general secretary Priyanka Gandhi Vadra is in Mirzapur, Uttar Pradesh, to attend a party workers' meeting in Chunar and is expected to leave for Varanasi soon to address fishermen and women there, as part of her party's campaign ahead of 2019 Lok Sabha elections. Meanwhile, Congress President Rahul Gandhi will be in Imphal, Manipur, today to discuss various issues and attend an interaction with students from Manipur. In what can be seen as a first major political setback for the ruling BJP in Arunachal Pradesh that goes to simultaneous Lok Sabha and assembly polls on April 11, at least 18 party leaders have resigned from the party after being denied tickets. They have joined Conrad Sangma's National Peoples party (NPP), a key BJP ally which has decided to go solo across northeast. Maximum languages across the world have understood the word 'Chowkidaar', it seems as if they all have accepted it in their vocabulary. I want to apologise as some people in last few months for their vested interests have run a disinformation campaign against 'chowkidaars'. It is unfortunate that language of these people has hurt you. Congress President Rahul Gandhi addresses public meeting in Agartala. Congress General Secretary for Uttar Pradesh (East) Priyanka Gandhi Vadra, while showing the election manifesto issued by BJP for Varanasi in Lok Sabha polls 2014, says: PM Modi made 8 promises in this (manifesto), and has even one promise been fulfilled or not? Not even one. Propaganda politics is easy, anyone can do it. Rahul Gandhi will be addressing a public meeting in Agartala, Tripura, shortly where he will be talking about issues like corruption and Congress' vision for the North-East. Congress has finalised alliance with National Conference in Jammu and Kashmir, says Ghulam Nabi Azad. Mr Azad says alliance finalised in national interest, to strengthen secular forces as the state faces threat from Pakistan. In another blow to the Congress-NCP alliance in Maharashtra, Ranjitsinh Mohite-Patil, son of Vijaysinh Mohite-Patil -- a former deputy chief minister and a sitting MP from Madha -- joins BJP in the presence of Maharashtra chief minister Devendra Fadnavis. 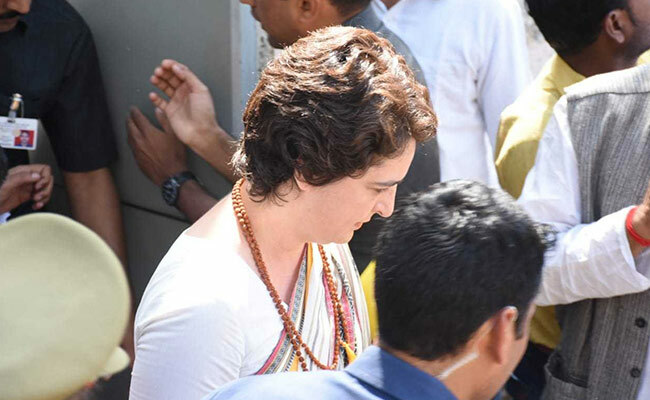 Priyanka Gandhi Vadra offers prayers at Kashi Vishwanath temple in Varanasi. Tejashwi Yadav of Rashtriya Janata Dal (RJD) tells news agency ANI: "Mahagathbandhan (Grand Alliance) is intact, seats and constituencies will be announced after Holi. There is nothing to worry, all is fine in the alliance." Congress general secretary Priyanka Gandhi Vadra visits ancestral home of former prime minister Lal Bahadur Shastri at Ramnagar in Varanasi, Uttar Pradesh. Bahujan Samaj Party (BSP) Chief Mayawati says she will not contest the Lok Sabha elections. I have only one request from you: Please raise your voice against a negative government -- anti-farmer, anti-woman and anti-labourer government, says Priyanka Gandhi. "You deserve a govt that solves your problems," she says while addressing a rally. "If you want to change your future , please vote for the right government." Congress chief Rahul Gandhi, in Manipur, says: "We fought against the Citizenship Amendment Bill in Parliament and defeated it. We are absolutely clear that there will be no encroachment on North East. We will fight tooth and nail to ensure CAB does not become a law." Priyanka Gandhi arrives at Assi Ghat in Varanasi, Prime Minister Narendra Modi's parliamentary constituency. "Congress does not believe in cultural imperialism. We do not believe in the idea that one part should rule other parts of the country. We believe that every part of the country should be allowed to say and do what it wants," he says. "The fact that the Indian education system is becoming more expensive is hugely to do with the fact that the Central govt is not spending enough money on education. We are committed to increase it to 6% of GDP." 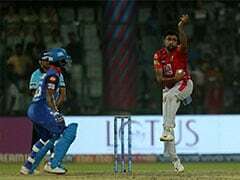 He adds: "There's no thinking behind demonetisation, it's pure mediocrity. Mr Modi does not have an understanding on what economics is." We have to tackle the job crisis in India and North East, says Rahul Gandhi. "We have to significantly increase the amount of money we are spending in connecting the North East to the rest of the country." Loktantrik Janata Dal (LJD) leader Sharad Yadav tells news agency ANI: "Mahagathbandhan (the Grand Alliance) will do a press conference in Patna on March 22 to announce the seat sharing in Bihar." 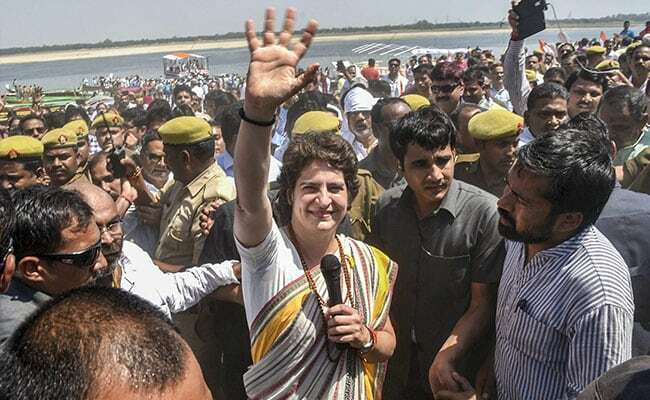 On the third-day of her campaign along the river Ganga, Congress General Secretary Priyanka Gandhi will interact with her party workers at a guest house in Chunar before leaving for Shastri Memorial by road in Ramnagar. "We will continue our fight; the more we are harassed, the stronger will it get," she says. After PM Modi's dig, Congress general secretary Priyanka Gandhi Vadra says: "The BJP has systematically attacked every institution in last 5 years including the media. The prime minister should stop thinking that people are fools and understand that they see through this." Prime Minister Narendra Modi says: "The biggest casualty of dynastic politics are institutions. From the press to Parliament.... From soldiers to free speech." He has launched a sharp attack on the Congress as he wrote in his blog that in 2014, people of the country voted decisively for "honesty over dynasty". 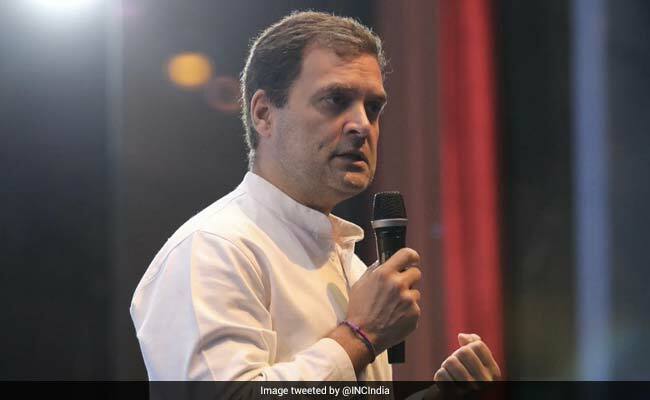 Alleging that the party didn't believe in internal democracy, he said that if a leader wanted to head the Congress, he or she would be "shunted out". PM Modi also invoked former PM Indira Gandhi to attack the Congress. "It was Mrs Indira Gandhi who called for a "committed judiciary", which seeks to make the courts more loyal to a family than to the Constitution," he alleged. Arunachal Pradesh Home Minister Kumar Waii, who quit BJP and joined NPP, says: "If the BJP was the right party, I would have been working for it. BJP says that for them country is first, party second and person third but they are doing dynasty politics. This is a secular state but BJP is an anti-religion party." General Secretary of National People's Party (NPP) Thomas Sangma tells news agency ANI: "I am delighted to welcome 8 sitting ministers and MLAs to our party. National People's Party will not form alliance with anyone. BJP's ideology is not right. It is not a secular party." The Congress has released its sixth list of nine candidates, seven from Maharashtra and two from Kerala, for the Lok Sabha election. With this, it has released names of 146 candidates for the election starting on April 11. Women and Child Development department organises women's two-wheeler rally for voter awareness in Raipur, Chhattisgarh. Actor-turned-politician Kamal Haasan's Makkal Needhi Maiam (MNM) is expected to announce its candidates for the 2019 Lok Sabha elections soon. Priyanka Gandhi Vadra will visit former prime minister late Lal Bahadur Shastri's home in Ramnagar area of Varanasi, PM Modi's constituency. She will also visit the Kashi Vishwanath Temple. Conrad Sangma's National Peoples party (NPP) is expected to announce the final list of its candidates soon. At least 18 BJP leaders, including party general secretary Jarpum Gambin, Home Minister Kumar Waii and Tourism Minister Jarkar Gamlin and six legislators have resigned from the party after being denied tickets. They joined the NPP, a key BJP ally which has decided to go solo across northeast.